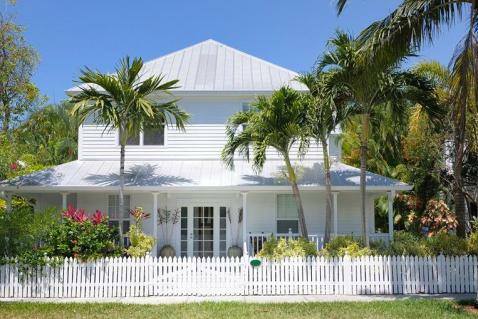 Coastal Home Inspectors is the best home inspection service provider in Bonita Springs. Our professional home inspectors thoroughly inspect your home from all aspects and give you the valuable information that you need to make a confident decision about the home purchase. We are committed to giving the best Bonita Springs Home inspection services at very affordable rates. We have state of the art technologies to examine any kind of your property from nook to cranny. So if you’re looking for a home inspector in Bonita Springs, choosing Coastal Home Inspectors is the best option available for you. Buying a new home in Bonita Springs demands your lots of money, so it becomes very necessary for you to be aware of each and everything of the home that you’re going to purchase. In thorough service of Bonita Springs Home Inspections, a professional home inspector visually inspects a home in intending to expose defected components. Be clear, every home have some hidden defects in its components or structures. So buying a home without the services of a professional home inspector can put your investment on the risk of buying a home with serious defects in its structures. At Coastal Home Inspectors, our skilled home inspectors have a proper training of home inspections to examine any kind of your property very effectively. They examine each and every component of your home and give you accurate information that you need to make a confident decision before signing the dotted line of final agreement. At Coastal Home Inspectors, we invite you to be present at the time of home inspections. In this way, you will be able to ask your questions and concerns from our professional home inspector to gain maximum information regarding your dream home. They will answer your questions and give you important tips to maintain your home in better condition for a long time. At Coastal Home Inspectors, our professional home inspector inspects your home for its exteriors like lawns, garages, basements, walls, windows, balconies etc. After inspecting the exteriors they enter the home to inspect its internal structures and appliances like floors, doors, kitchens, baths and other structural systems like plumbing system, insulation system, electrical system, air conditioning system and many other components. In thorough Bonita Springs Home Inspections service, we give you a complete satisfaction that you will never face any surprise issue regarding your desired home. After completion of home inspections, we give you a home inspection report of our findings in which you’re informed about the defected items and other safety and health issues observed at your home. Using the information of home inspection report it becomes very easy for you to make an informed decision about the final purchase of a home with a peace of mind. At Coastal Home Inspectors, we make your dreams come true of having your own home in Bonita Springs without any issue to face.